Fastly Media Shield offers customers the ability to decrease origin traffic by reducing multiple CDN requests into a single request back to your origin. 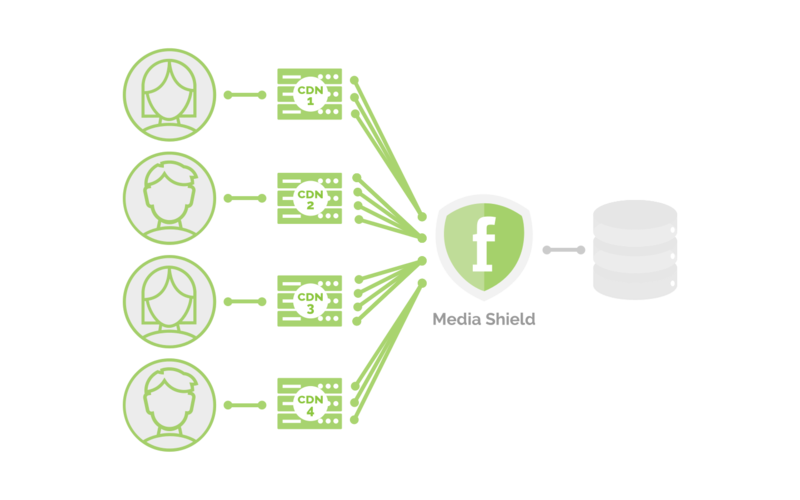 Media Shield works with your existing architecture by making Fastly the origin to all of your end-user-serving CDNs. To learn more about Fastly's Media Shield, contact your account manager or email sales@fastly.com for more details.